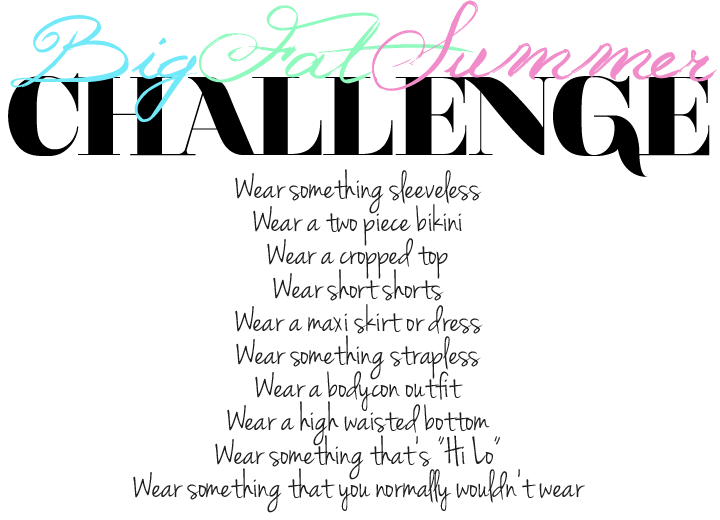 THE BIG FAT SUMMER CHALLENGE ! I came across this fab blog the other day www.jasiferlionsclub.com by Fashion blogger Jennifer. She started the Big fat Summer challenge and I really want to participate just to challenge myself a bit. If you are interested you can join too here is the link on how to http://www.jasiferlionsclub.com/p/bfsc.html .The challenge ends on my Birthday July 31st . Ok I just saw this. Will sure love to participate.